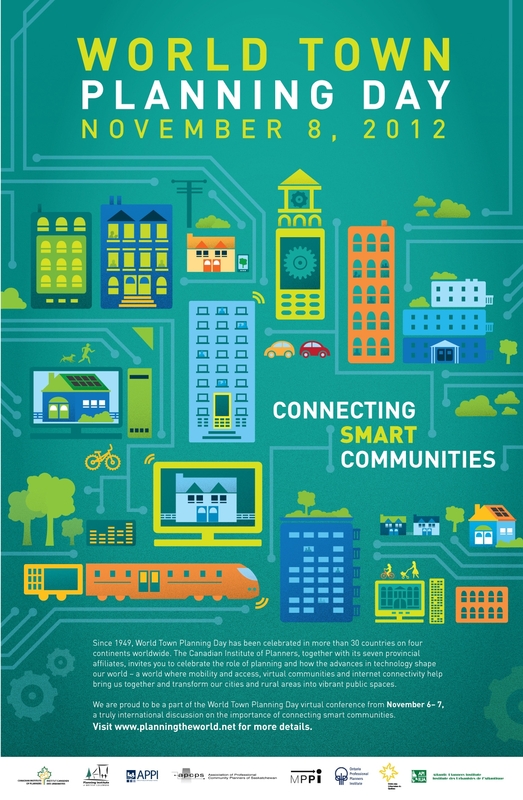 For the fourth year in a row, the collaboration of a growing list of planning organizations – from Australia, Canada, South Africa, UK, USA, New Zealand – continues to support a joint “virtual” conference for planners from around the globe in honour of World Town Planning Day. The conference takes place on November 6 – 7, 2012 and is completely online, as a part of an effort to reduce the carbon footprint caused by presenter/participant travel. This year’s conference brings together leading practitioners and experts on the topic “Smart Communities Connect.” The purpose of this conference is to hear ideas from around the world on how we are planning for mobility and how new technologies – like mobile apps and other smart solutions – impact planning. Download the programme or visit the conference’s dedicated website. Toronto, a city whose cultural calendar packs in close to 70 film festivals a year, wrapped up the 13th annual Planet in Focus with a screening of ‘Chasing Ice,’ a stunning environmental documentary of a fearless photojournalist tracking the Arctic’s alarming rate of glacial recession as part of a global outreach campaign. 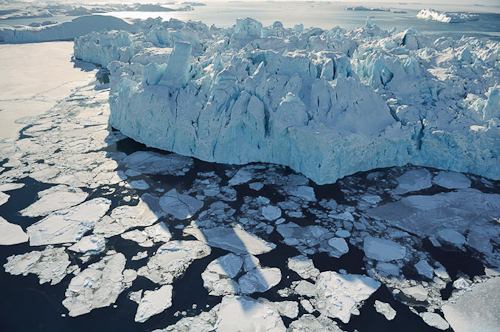 At the event’s Closing Night gala, international Eco Hero and National Geographic photographer James Balog shared the story of ‘Chasing Ice,’ a long-term photography project aimed at educating the public about the dramatic effects of global warming. And nowhere are they more visibly astounding than in mountains of ice in motion. Accompanied by his Extreme Ice Survey (EIS) team, Balog leads expeditions to Greenland, Iceland, northern Canada and the USA to photograph glaciers and install permanent time-lapse cameras on-site in some of the Earth’s harshest conditions. 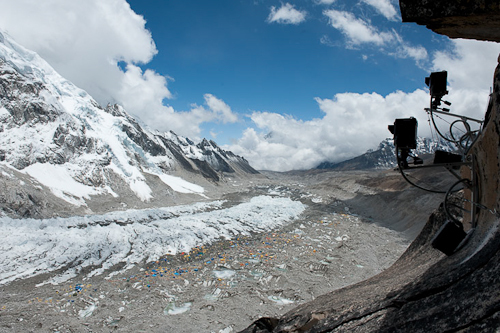 To date, there are 40+ cameras dotting the globe shooting every half hour of daylight, year-round. After months at a time, the EIS crew returns to retrieve the images and assembles them into time-compressed video animations that illustrate a rapidly shifting landscape – a disappearing world forever caught on film. This scientific evidence is irrefutable proof of drastic climate change. The documentary features breathtaking stills that leave viewers agape and spellbinding sequences that garnered it Excellence in Cinematography at Sundance. Armed with a background in Geomorphology and a fondness for the wild, Balog switched early on from a career in academic science to nature photojournalism, a craft he honed on his own. Assignments and personal projects have taken him to document endangered animals, old-growth forests and the aftermath of tsunamis. But he now claims to have found his mission in life: polar ice. Balog’s passion and need for ‘getting the shot’ override all sense of caution and that has led him to undergo knee surgery four times to-date. 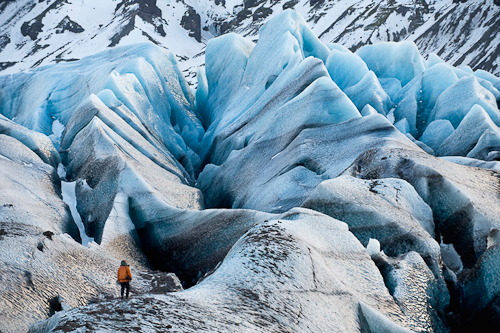 Adventurous to the bone, he physically positions himself in any which way to best capture the image: a close-up of an ice sheet or an aerial of crevasses. 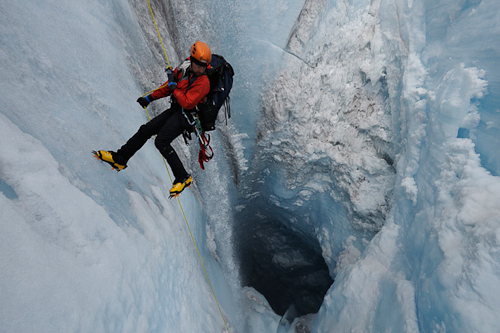 Throughout the film, Balog perilously wades through ice-cold water, or, donning crampons and a harness, he hangs off the edge of a precipice, or descends into a ‘moulin’, a shaft created by the force of cascading meltwater – in essence, an abyss. ‘Chasing Ice’ is a call to action. It inspires social change. And by marrying art and science, Balog has found what he’s truly meant to do. 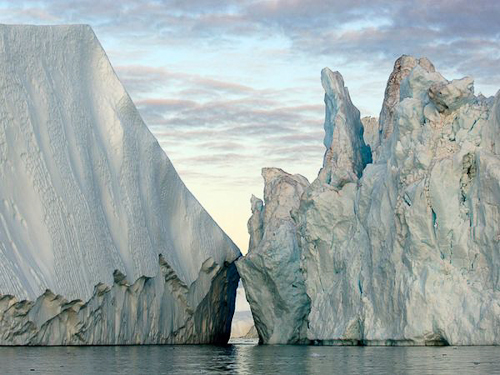 Photos courtesy of James Balog. 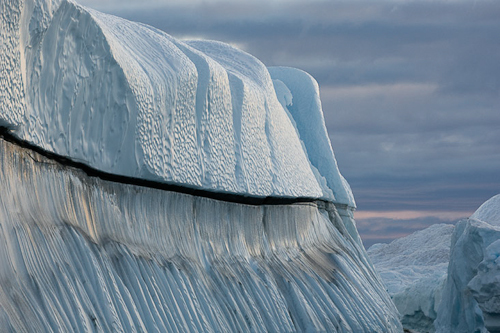 ‘Chasing Ice’ is coming in November to a theatre near you… See the trailer here.